We are pleased to announce Dr. Michael Haverkamp as a member of the International Sound Awards 2019 Jury. Michael Haverkamp is an expert on perceived quality, sound design and multisensory harmonization within product development. From 1994 until his retirement in October 2018, he worked at Ford Werke GmbH Köln. Born 1958 in Gütersloh, Bundesrepublik Deutschland, he focussed on psychological and technical acoustics during his studies of electrical engineering at Ruhr-Universität Bochum. He has long-term experience in product development, acoustics engineering and multi-sensory design, and studies of cross-modal perception, the arts and music. He has had previous teaching assignments and been invited to lectures at various universities (e.g. the Köln International School of Design KISD). 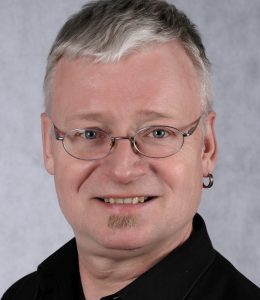 He has numerous publications and presentations on multisensory implications of sound: movement represented by sound, multisensory references of music, sound as element of multisensory design and branding, visualization of music and sound, contribution of touch sound on perception of surfaces, synaesthesia stimulated by sound.